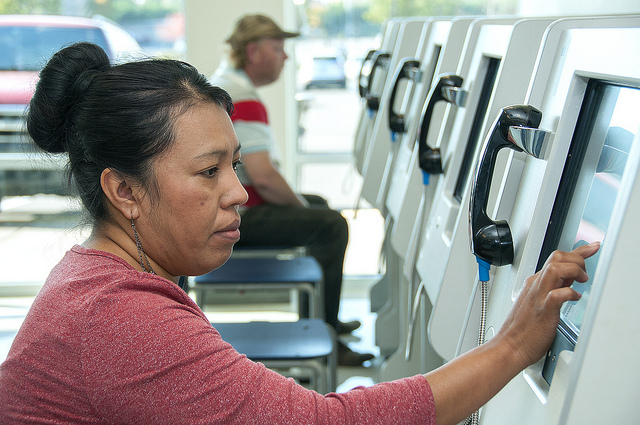 With the use of technology, it has become simpler to take a test at the DMV. The days of scan-trons and filling in the bubble with a number 2 pencil are long gone and are replaced with touch screen computers. With the use of a touch screen computer, a student can just follow the instructions on the screen and touch the correct answer. Feedback is immediate and students are informed when an incorrect answer is submitted. If you are like most people I know, test taking can be very stressful. A rush of anxiety takes over and blurs your ability to concentrate and focus; especially when you are confident about an answer, select the answer, and the big red “wrong” signal pops up. This immediately kills your confidence and you find yourself treading lightly with the next questions. After several of these “wrong” prompts, you just give up and don’t even bother with really trying for the rest of the test. There is hope for folks who struggle taking tests or suffer from test anxiety. If your teen falls in this category and has failed their first permit test, you can request for a written version. Rather than dealing with immediate feedback, your teen can fill in the correct answer and go back and review each answer to make sure it was exactly what they wanted to select. No immediate feedback of right or wrong, just an old school method of taking a test. Don’t get me wrong, the touch screen version is way cooler and faster but some individuals just require a different method of taking a test. Keep this in mind if your teen fails the written exam the first time. Try this alternate method and hopefully your teen is well prepared the second go around. If you teen fails the second time, you can request for a verbal exam for the third test. This is a one on one exam where a DMV representative asks the questions out loud while your teen provides the answer verbally. There you have it. There are alternate methods of permit test taking at the DMV. Take practice exams on the DMV website or other sites that offer them for free. Ask experienced drivers for questions that you are stuck on. Even ask friends that just took the permit test and find from them what to expect. Get lots of rest and stay positive! You have up to 3 chances to take the test.